Striking out solo to see Mike Tramp perform, I planned to make a night of it with dinner and stop by my friend's record shop, Purchase Street Records, before the show started. As it turned out, that was a good decision on my part. I was going there to pick up some music I wanted to get my hands on, but when I walked in there was Mike Tramp as he was wrapping up his own purchase. He was talking to my friend Roger about Billy Squier and other musical topics. I thought about saying hi, but another customer told me Tramp had said he was doing a meet and greet after his concert, so I just stayed out of the way and listened to the conversation. Once Tramp had left the store, I made my own purchases, grabbed dinner and then settled in to get ready for a night of acoustic rock and roll. Opening the show was the duo of singer Mike Golarz and guitarist Roy Maher. I knew them from the local cover band SAN DIMAS that my friend Roger plays drums in. On this night it was just them and they ran through a set of covers that had the audience singing along at various points. Golarz's voice was a little rough in spots, due in part I was told to having sung a lot of shows in short order. However, that didn't take away from DOKKEN's "Breaking The Chains" and the KISS song "Strutter" being incredible bright spots of a well received set. It was really interesting to watch both performers in a calmer setting than I've seen them previously. And I really enjoyed the guitar playing from Maher. Next up was Boston based musician Scotty Dunbar. The singer was accompanied by two guitarists and initially I wasn't all that taken with the music. In his brief six song set, the first half just left me a little cold in all honesty. Even his cover of the GUNS 'N ROSES song "Used To Love Her" didn't strike an emotional chord with me. However, happily enough, the last half of the set went about converting my opinion. The songs "Good Times" and set closing "Let It Play" were darn good numbers. But the standout for me was the song "Memories Never Fade". Before launching into the song, Dunbar talked about the Station nightclub fire and friends that he lost from it. It was a fantastically well done song and those last three songs made me want to go out and investigate the rest of his music. Right at 10pm, Mike Tramp hit the stage. Unsurprisingly, given the stripped down nature of his night of acoustic music, there was nothing on stage to detract from Tramp, his guitar and the microphone. This was a sort of "Storytellers" performance where Tramp would tell stories related to the songs he was about to play. While that can sometimes be an interminable thing if the story runs on too long, there was only one moment in the show when I wished he would just get the song started. Otherwise, the stories he told from both his days with WHITE LION and his now lengthy solo career were all quite entertaining. The set featured a mix of the best of WHITE LION along with songs from his various solo releases. It kicked of with "Little Fighter" and then the song "Give It All You Got" from his Nomad album. I was immediately taken by the depth the music featured. I like the "noise" as much as the next rocker but when done right, having the songs stripped of that noise, lets the songs take on a different kind of life that can change how a track hits the listener. And on this night, Tramp definitely got it right! The stories started off after the WHITE LION song "Hungry". Tramp noticed the TV screen advertising up coming shows at the venue, which included a show with ANGEL. He talked about the band and the connection they had to the WHITE LION album Fight To Survive. Not being a fan of NGEL, this was a really informative tale to me. Though the song seems tailor made for the end of a concert, "Farewell To You" was broken out in the middle of the set as Tramp talked about playing a show in 1991 at the Rocky Point Park and the subsequent break up of WHITE LION soon after. Soon, Tramp related an amusing anecdote from the Monsters of Rock Cruise about BULLETBOYS singer Marq Torien. That story led into the song "Trust In Yourself" from his solo release Museum. While I've owned the album for well over a year, I hadn't gotten around to listening to it until just a few days before the concert. That song, with the lyrics being deeply personal for Tramp, is just incredible. Tramp may be the one who wrote the song but it could definitely be adopted by any number of people as there own. I was quite taken with the song from the first time I heard it and while I knew there was a good chance it would be in the set list, hearing it live still gave me a real jolt of excitement. Tramp talked about coming back next year with a full band and gave a couple of huge shout outs to Purchase Street Records during his set. There was a real genuine sense of both enthusiasm and gratitude radiating from Tramp's performance all night long. He seemed to be having a ball as he ran through his own "Homesick" track and WHITE LION's "Broken Heart" as the crowd lapped up each note and showed their appreciation. He stretched all the way back to his first solo album Capricorn for the song "Have You Ever". This was a completely new song to me and it was fantastic. I know that the album got a reissue last year and this song has me on the hunt for a copy. While I know there's no way he would've done a song like "Road To Valhalla", I was quite pleased to hear one of my favorite WHITE LION songs when he did a rendition of "Lady of the Valley". I loved it when it was first released all those years ago and now this acoustic version gave an extra dimension to the song. Most of the set lists that I've been able to find online leading up to the show had Tramp's set list running 14 songs long. But at The Vault, his set ran for 16 songs. He closed out the performance with the two biggest WHITE LION songs in "Wait" and the ballad b>"When The Children Cry". I've loved "Wait" from the start but had grown tired of the ballad (because I'm a grumpy old crank most likely), but I do have to say that I did enjoy the song as the set ender. Sandwiched between those two song was the first track released from his new album Stray From The Flock, "Dead End Ride". And it is a killer track! I'm really looking forward to hearing the album as a whole but if the rest of it is as good as this particular song, the album is going to be amazing! I think what has drawn me so much to Tramp's solo work is how he has kind of reinvented himself as a musician and performer. He still rocks out of course, but his writing has seemingly morphed from a rock and roller to that of a singer-songwriter. This has given his lyrics more dramatic weight and judging by the performance I witness has deepened his art as a live performer as well. This was a purely enjoyable show, the music and musician seemlessly woven together to cast an audio spell on a rapturously appreciative audience. 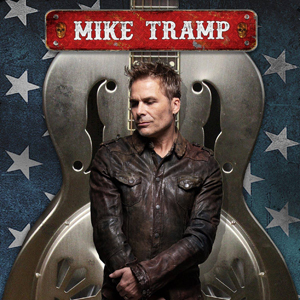 CONCERT FUN FACT: While there was a VIP Meet and Greet available, Mike Tramp did indeed meet all the fans who stayed once the show ended. He posed for photos, talked to people and signed all manners of music, whether on vinyl or CD. I got a photo with him and he signed CDs I had brought with me. I also picked up a T-shirt and a CD edition of his new album Stray From The Flock, which he had pre-signed. The official US release date isn't until April 5th, 2019 so the chance to have it early was something I couldn't pass up.